The OIC process can be a real pain. It can take months, or even years. Paperwork, bankers. SBA people….it can be a real grind. But none of these issues are what I am referring to in this article. What I am referring to is what happens AFTER both the bank and the SBA approve an Offer In Compromise. So here is what puzzles me: the way in which settlements are documented varies wildy from bank to bank. Some banks do it the right way, which is a settlement agreement. This is typically prepared by attorneys, or at very least is an attorney approved boiler plate document, and lays out the pertinent terms of the settlement. It allows all the terms and conditions to be put in writing and signed of on by both the borrwower and the lender so that there is no uncertainty or misunderstanding. Other banks, on the other hand, simply “wing it”. They tell borrowers that the SBA has approved it, and that’s all there is. 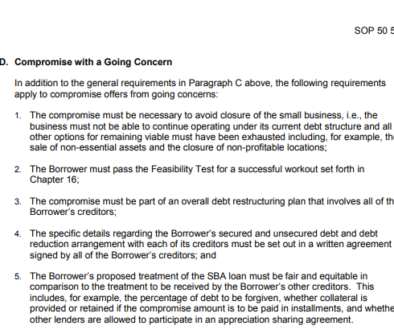 Other will forward the SBA approval email that is issued to the lender, and deem that to be sufficient. Crazy, right? I cannot understand why on earth a bank would not want all the terms to be explicitly spelled out. The way I see it, it reduces the chance of a misunderstanding. What if the guarantor thinks that ALL the guarantors are being released? Wouldn’t the bank want to be clear about that? What is the guarantor believes that a lien on real estate was being released? There are so many little details that could easily be ironed out by properly documenting the settlement of an SBA loan, yet some banks simply don’t do it. And the biggest puzzlement to me is that settlement agreements almost universally include release provisions, a clause that released the bank from any future liability and recourse. Why would a bank not want that? The only conclusion that I can reach about banks that properly document settlements is that they simply lack experience when it comes to settlements. 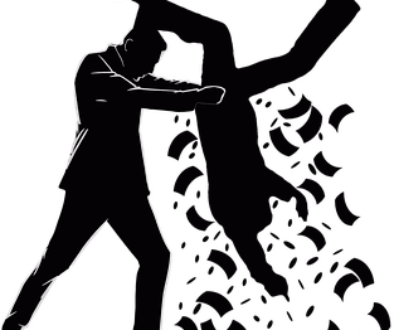 The loan officer who gets gruff in this situation is surely one who is trying to cover up their ignorance when it comes to completing a settlement. 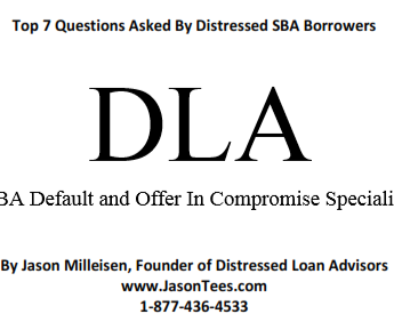 Distressed Loan Advisors (http://www.JasonTees.com) offers expert advice about dealing with SBA Loan Default and Forgiveness, and can be reached at 1-877-436-4533 orloanhelp@jasontees.com.